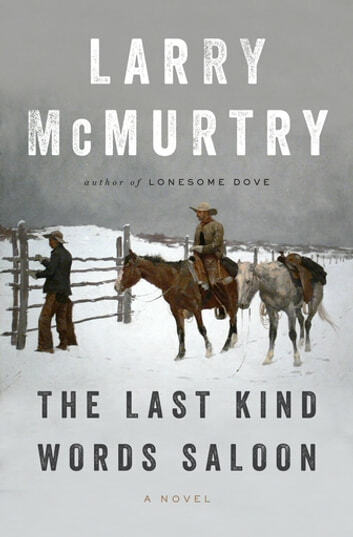 In this "comically subversive work of fiction" (Joyce Carol Oates, New York Review of Books), Larry McMurtry chronicles the closing of the American frontier through the travails of two of its most immortal figures, Wyatt Earp and Doc Holliday. Tracing their legendary friendship from the settlement of Long Grass, Texas, to Buffalo Bill's Wild West Show in Denver, and finally to Tombstone, Arizona, The Last Kind Words Saloon finds Wyatt and Doc living out the last days of a cowboy lifestyle that is already passing into history. In his stark and peerless prose McMurtry writes of the myths and men that live on even as the storied West that forged them disappears. Hailed by critics and embraced by readers, The Last Kind Words Saloon celebrates the genius of one of our most original American writers. McMurtry seems to be coasting on his reputation and putting little effort into his writing lately. There is zero character development in 'Last kind Words Saloon', and little sense of plot. Very disappointed in this purchase.